The Bücker Jungmann was designed as a training aircraft and saw extensive service training Luftwaffe pilots before and during WWII. It was built under licence in Switzerland, Japan, Hungary and, as this example shows, Spain. 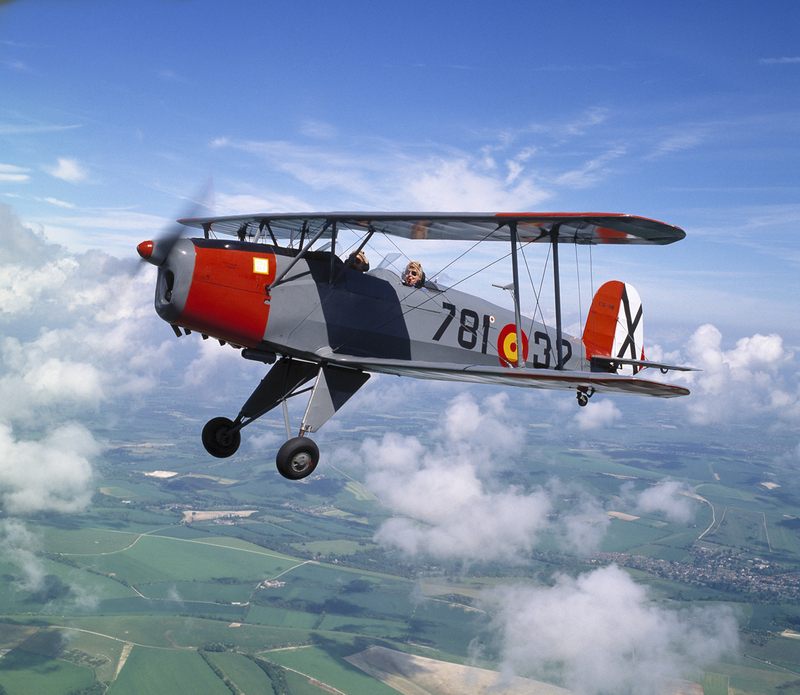 When the Jungmann was finally retired from Spanish Air Force service they were eagerly snapped up by pilots who appreciated its exceptional handling. I and a group of fellow pilots did appreciate the handling and this shot was taken a few days after we bought it.